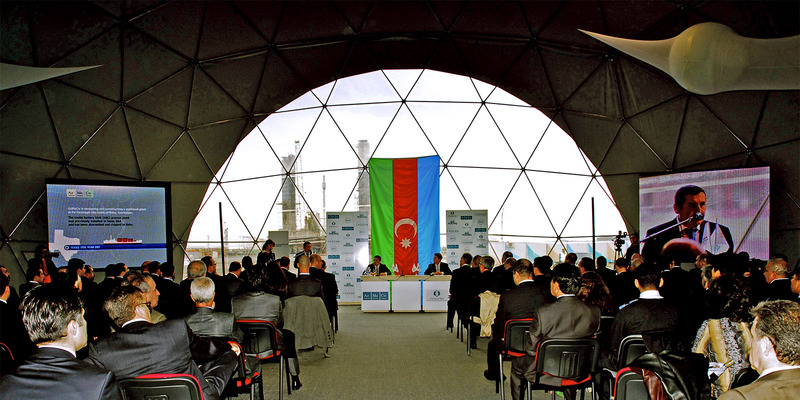 In 2009 the Buta Arts Centre organized a Signing Ceremony between Azerbaijan Methanol Company (AzMeCo) and the European Bank of Reconstruction and Development (EBRD). Mr. Tony Blair — UK’s ex Prime Minister — was the honored guest of the ceremony, specially invited by the Buta Arts Centre to the event. Within the ceremony Buta Lab created and developed in Moscow complete style of the event, including full branding, and constructed unique cupolas, which were then transported to Baku.